Hello guys, Happy New Year. It's that time of the year when we all start making our goals for better health, improving ourselves and learn new things. Last Year, I focused mainly on Web Development side and spent time learning React, Angular, and Node JS but this year one of my goals is to explore the mobile world, particularly iOS and Android. At least that's a thought for now and I am not sure how long I can go given limited time I get to upgrade myself but I'll try my best. 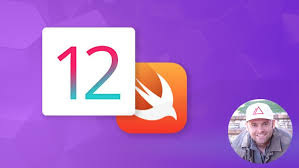 Btw, if you also have the same goal and want to become an iOS developer in 2019 then you should start your journey by learning iOS 12, the latest version of Apple's Operating system which runs on iPhone and iPad and Swift 4, Apple's programming language for creating iOS apps. One of the important thing on achieving goals is making a plan and having the right resources to achieve them. So, I started doing some research on the best way to learn iOS 12 and found that there is a no better way than joining a good online course. I first thought about in-person Bootcamps but the cost and time commitment was high and I don't know I could make. Online courses address both those issue, first, they are way cheaper than classroom training or an in-person Bootcamp class (Compare 1000$ to $10, yes they are that cheap) and second, there is no time commitment. You don't need to travel to attend any class at any particular time. You can learn whenever you have some time. If you have a smartphone and good internet connection, you can even watch these courses while commuting, well that's what I do and it works really great for me. You can also learn from the comfort of your office and home and that's why I thought that online courses are the best way to learn not just iOS 12 or Swfit 4 but any new technology. Though, the biggest challenge with online courses is choosing the right course. The Internet is full of online courses both free and paid but not all of them are of good quality. If you end-up enrolling into a mediocre course then you will waste a lot of your time and sometime even may get bored and discouraged to learn. 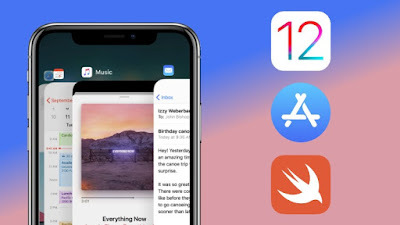 That's why in this article I am going to share some of the best online courses to learn iOS 12 and Swift 4. You can choose any of these courses, my personal favorite is iOS Bootcamp to kick-start your journey. Before I share online courses to learn iOS 12 and Swift 4, let's talk a bit about iOS 12 itself. The iOS 12 is the twelfth major release of the iOS mobile operating system developed by Apple which runs on their iPad and iPhone. It's a successor to iOS 11 and was announced at the company's Worldwide Developers Conference on last year June 4, 2018. The best thing is that it comes with some really cutting edge technology and API which allows you to create some really impressive and awesome apps like Pokeman Go. The technology I am talking about includes Core ML 2 and ARKit 2, Apple's machine learning and Augmented reality API. It's important to choose the course which explains these two key API in good detail, particularly, if you want to create an awesome modern app. In one word, this is probably the world's best iOS developer course out there. It's so good that it even inspires me to create a course, that's another story but it's a damn good course. The instructor Angela Yu is very experienced and enthusistic. She teaches iOS development on Bootcamp and this course is an online version of those Botocamps which cost anywhere between $8000 to $12000. The course is very well structured, well explained, and well delivered. Content is an awesome and excellent use of animation and graphics makes it easy to understand new iOS concepts like Core ML 2 and ARKit 2. The course is also very comprehensive with 524 lectures and over 55.5 hours of material, but don't worry you won't get bored. It's also very hands-on and you will develop almost 25 apps, yes, you read it right 25 apps which includes your own Pokeman go, a Harry Potter style Newspaper app and a lot more. They also provide free graphics and other material worht $5000 which you would need to create some professinal apps and I got all this in just $13, would you believe that. Well, that's why I like Udemy. You get the online version of a Bootcamp coursre which cost aroun $12000 in just $10 and that too for a lifetime. Talking about social proof, the course has got 4.7 ratings from close to 41000 students which are really impressive. In short, the best course to learn iOS 12 and Swift 4 in 2019 and you probably won't need any more course if you complete this. Her course on Web Development "The Complete 2019 Web Development Bootcamp" is also equally good and if your focus is on the web dev side, you will love that as well. 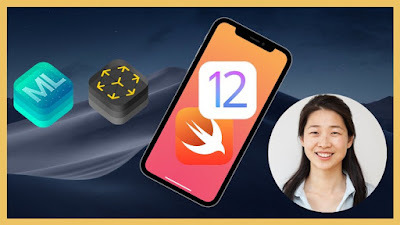 If for some reason you not able to connect to Angela Yu then this is another comprehensive iOS Developer course on Udemy. The course contains over 88 hours of quality material. Like Angela Yu, the instructor of this course Mark Price is also an experience iOS developer and trainer, having trained more than 3000 stuends on onlilne and in-person bootcamps. Similar to the previous course this will also teach you all the feature of iOS 12 like ARKit, CoreML, App Design, but it will also teach you how to code in Swift 4 and Advanced Programming techniques including Algorithms. This course is perfect for anyone wants to become an iOS developer and have no programming experience. You will not only learn iOS 12 and Swift 4 but also Programming in general. The course will not only help you to get a job as iOS developer but also to create your own iPhone and iPad apps to become an appprenuer or whatevery they call. This course also has on average 4.5 rating from around 4000 students which is great. This is another great course to learn iOS. It's also comprehensive and covers more than 44.5 hours of material and designed and delivered well by instructos like Rob Percival. Like previous two courses, you will also learn about iOS 12 featuers, Xcode 10 & Swift 4 to make real iOS 12 apps like Uber and Instagram, with CoreML & ARKit, the machine learning and augmented reality API from Apple. It also includes AWS Credits and some graphics and apps material to create your own prfoessional iOS 12 apps and lauch on AppStore. In short, a good course to learn iOS 12 but most of the lessons are from their iOS 11 version and you may find them here and there. Talking about social proof, the course also got on average 4.5 rating from close to 9000 students which is excellent. This one is also a nice course to learn iOS 12 and Swift 4 and become an iOS developer. The instructor Nick Walter has done a great job in explaining iOS concepts from ground zero to more advanced topics like machine learning in just 10 days. The time condition makes this course really interesting, all you need is 2 to 3 hour daily to work along with the course and in 10 days you will have your own iOS app in Apple's app store. It's not as comprehensive as previous courses and contains just 12 hours of material but still, it teaches you iOS and programming from zero experience. If you can connect with Nick then you will enjoy this course and your journey to becoming an iOS developer in 2019. The course also has on average 4.7 rating from close to 3000 students which is impressive. This is another course to learn iOS on Udemy. Like all the courses in this list, this one also teaches Swift 4, XCode 10 and iOS 12. The course starts explaining basics of Swift 4 programming and then moves to fundamentals of how to create an app for iOS. But, it not just cover the basics but also advanced technologies like machine learning using Core ML2 and Augmented reality using ARkit 2 which are some of the cool features of iOS 12. The course is co-authored by instructors Caleb Stultz and Jonathan Burgoyne. Both instructors are very enthusiastic and clear. The course is also professional and you won't feel bored or went to sleep watching lessons. The course also has on average 4.6 ratings from close to 2000 students which is not bad, given Angela Yu's course's popularity. That's all about some of the best courses to learn iOS 12 and Swift 4 for iPhone and iPad application development. You can create iOS apps, games, tools and much more by learning through these courses. You can join much organization looking for solid iOS developers to work with them. 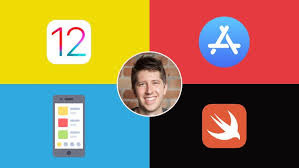 Again out of these 5, my first favorite is the first one "iOS 12 & Swift - The Complete iOS App Development Bootcamp" and I highly recommend you to join that course if you want to become an iOS 12 developer in 2019. Thanks for reading this article so far. If you like these iOS12 and Swift4 courses then please share with your friends and colleagues. If you have any questions or feedback then please drop a note.